Born Daniel Grassman in Syracuse, New York, in 1853 , Dan Mason had a long and distinguished career in theater, vaudeville, and the movies. But at the time of his death in 1929, he was best remembered for his portrayal of the irascible “Skipper” in the Betzwood Toonerville Trolley comedies. Although he started out to be a pharmacist, Mason’s irrepressible knack for comedy and improvisation soon led to him performing in vaudeville in his hometown. For years he was “Rudolf” in a German dialect routine called “Adolf and Rudolf.” His flair for German accents later won him rave reviews when he played the hapless brewer mistaken for a German prince in the musical comedy, The Prince of Pilsen. Mason also frequently wrote his own material, both short skits and full length plays. In 1913 Mason made his first movies for the Edison Motion Picture Company, playing eccentric and character roles, and writing three scenarios before moving on to Hollywood in early 1917. There he worked for several different film companies, including Fox, Goldwyn, and Astra. He co-starred with the notorious vamp, Theda Bara, in one film. 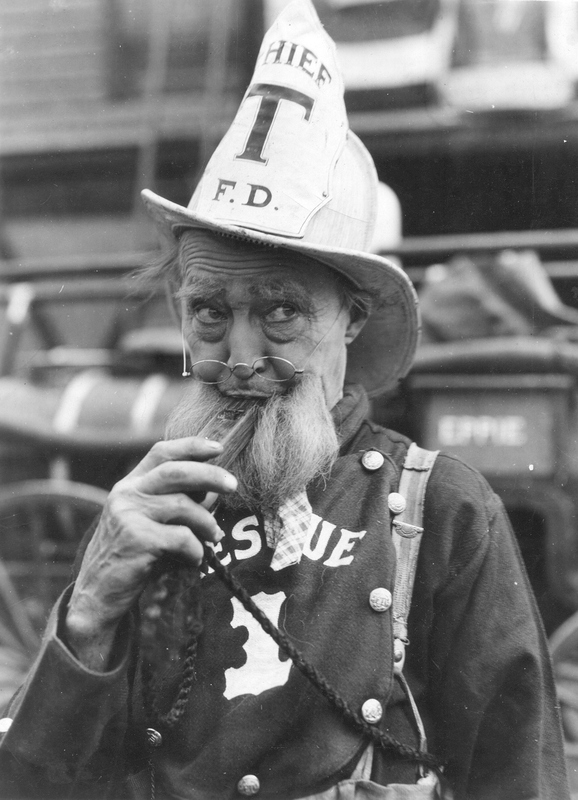 By the time he was cast as the Skipper in the Betzwood Toonerville Trolley comedies, he was a seasoned veteran of both stage and screen. Dan Mason brought to life the crotchety and free-spirited trolley “Skipper” from Fontaine Fox’s popular comic strip in a way that won him and the Toonerville films fans from coast to coast. His shabby and disheveled costume–which he devised–his mannerisms and facial expressions, the beard which he created one hair at a time every day of filming, all combined to create a believable and three dimensional living character based on the Fox cartoons. Not long after the filming of the Toonerville movies began in earnest, Mason bought a small bungalow in Audubon, PA, right next to the famous Audubon Inn, and only a short drive to the Betzwood studio. There he was joined by his daughter, Nan, his co-star Wilna Hervey, to whom he and his daughter had rapidly became attached, and two collies. This cozy domestic arrangement lasted until the studio suddenly suspended production and closed in the summer of 1921. Frustrated by the abrupt end of the Toonerville series, Mason headed for California, determined to use his former connections in the film making world to give the Toonervilles another lease on life. By late 1922 he had found support for a whole new series, to be filmed near San Francisco. His old co-star Wilna Hervey, was called to the West Coast to reprise her Katrinka role. However, as Fontaine Fox was no longer interested in pursuing the project, Mason was forced to do without a trolley, and had to change the names of the main characters to avoid being sued. 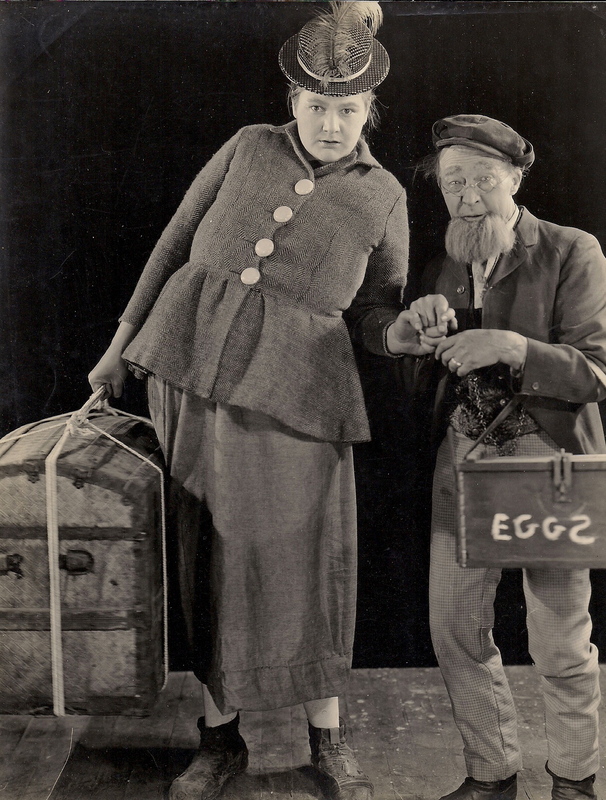 Thus, the “Plum Center” comedies with “Pop Tuttle” and his amazonian friend “Tillie Olsen,’ were born. A shabby coach pulled by an emaciated horse stood in for the derelict trolley. Mason wrote many of the scripts for these films. They were quite similar to the Betzwood Toonervilles and they were reasonably successful. When the Plum Center comedies had run their course at the end of 1923, Mason went to Hollywood where he played character roles in dozens of films until late in 1927. Meanwhile, his daughters (by now he considered Wilna Hervey his adopted daughter and treated her as such) moved to Bearsville, New York, near Woodstock and bought a farm. They wanted Mason to join them but he kept insisting he had to make more money before he retired, even though it was becoming difficult for him to find work. A very frugal, simple, and practical man, Mason was also a devoted practitioner of Christian Science. He was by all accounts completely unaffected by fame and success; his idea of a good time was having a beer after a hard day’s work and going to bed early. His letters to Nan and Wilna are filled with gentle scoldings over their naive business dealings and foolish expenditures, practical advice intended to enhance their health, and assurances that his late wife was watching over them. Late in 1928, while still seeking work in Hollywood, Mason contracted pneumonia. In the hope of recovering his health, he went to stay with Nan and Wilna on their farm in the Catskills. He died on July 6th, 1929 at the age of seventy-six. So interesting, my Great-Grandfather Dan Mason. He and his career were basically unknown to me and my siblings, as we had lost contact. Thank you for your research. I look forward to reading more. Sincerely, Susan Elliott (mother Muriel Mason Elliott, grandmother Barbara Kuester Mason.) Thank you.